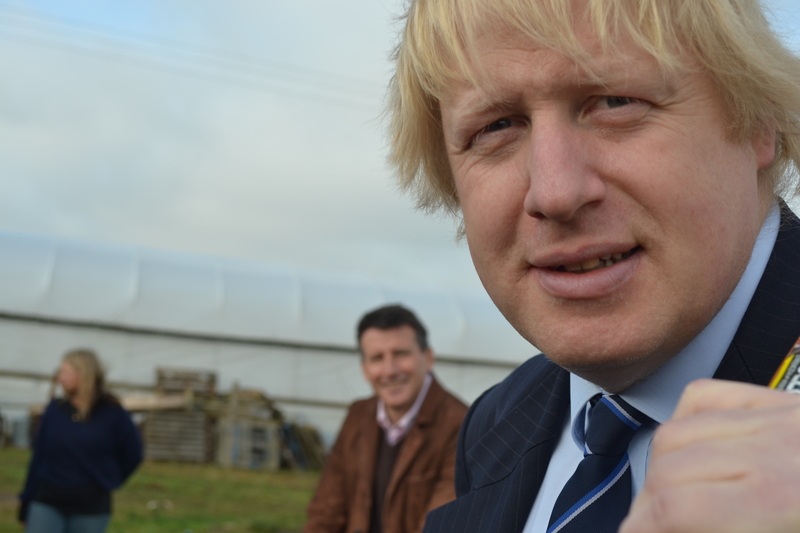 The EU Referendum: Time for Boris? Harvey Tomes in UK Politics on 6 February, 2016. Could Boris lead the ‘Leave’ campaign? The upcoming EU referendum a once in a generation chance for the Conservative party to retake the truly Conservative case and become a truly British Conservative party. David Cameron and George Osborne (rather presumptuously) came out in favour of staying in Europe even before a renegotiation and they stand as the vanguards of what is perhaps defined as “Cameronian Conservatism” or “A Slightly Righter New Labour”. This is however is a big gamble that may see the Tory party change leadership back towards its natural homeland of Conservatism. Cameron’s renegotiation has received ridicule from many sources including the Sun – a newspaper generally supportive of Cameron – and Euro-scepticism is a rising force in this country. Nigel Farage won his debate against Nick Clegg previously with 64% of the vote and more recently in his Welsh debate with closer to 80% of the vote. As well, the polls are pretty much even at the moment, so staying is far from guaranteed and it is likely that a lot of major political players will be coming out against EU membership with the likes of Boris Johnson and Theresa May both flirting with leaving. If Cameron has made a cataclysmic misjudgement, he may be about to give the Conservative party its chance to come back with a convincing and popular Conservative movement. The EU is a fundamentally unconservative body. It removes national sovereignty, spends countries’ money as it likes and is gradually undermining nation-states within Europe. Let us say that Boris decides to support the leave campaign and becomes a senior figurehead and theoretically that the people of Britain choose to leave the Union. We have a new situation where a potential leader speaking the language of real Conservatism has beaten the incumbent Prime Minister who now looks like the defeated, unpatriotic idealist who must now serve out his term. It is more than likely that if someone like Boris or even a more junior Tory who has successfully lead an out campaign appear more convincing and stronger than the party’s leader. They will also have a defining trait; they are more Conservative, because they appeal to the ideal of sovereignty, Britishness and will likely be more right-wing than Cameron. This would see the party, when Cameron steps down, lead by someone who would take the party back to a populist Conservative footing with a mandate from this referendum. To change the status quo in the party back to Conservatism would be radical which could be deemed unconservative however, as Douglas Murray points out in “Neo-Conservatism and why we need it”, conservatives must now be radical to change the status-quo as it is no longer a conservative status-quo. This EU referendum is not only a fantastic chance for the country to move from narrow regionalism but to open globalism but a chance for the Tories to regain their identity without seeming like a backward thinking party deemed to hate the poor. It is easy to forget that Conservatism is popular; many people are proud of their country, many people want us to maintain our strong British identity and we like to have a party or government that looks after our own and prioritises our country. Therefore to any ambitious Conservative MP who wants to lead the leave campaign I say “Carpe Diem” for it may just be their best chance to make the party and indeed the general consensus Conservative once more.